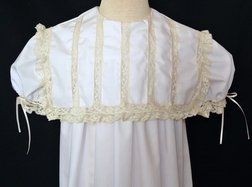 Beautiful heirloom dress made of batiste cotton embellished with lace vertically through and trimming the collar. 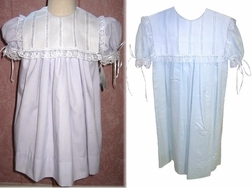 The lace is also around the sleeves with satin ribbon woven through the lace and forming bows. Perfect for any holiday occasion, weddings or portraits.